For a business that is heavily relying on its E-commerce side, especially when it comes to fashion, ranking quickly is a key factor. With the current e-commerce meta situation, it’s important to achieve brand awareness and domain authority as fast as possible. 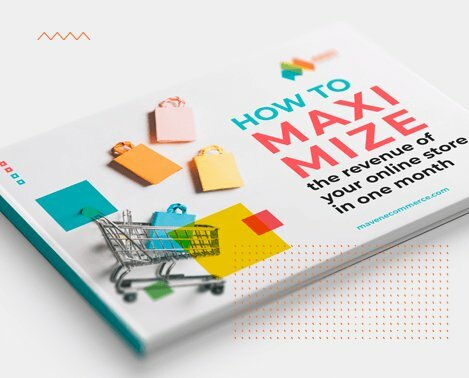 Many are the strategies that are heavily relying on fast branding and those are generally related to dropshipping stores that have an automated listing process (generally hosted on Shopify, with Oberlo as their main listing application). Branding and domain authority, on the other hand, is not the only way for a fast store progression: developers are indeed focusing on UX (user experience) combining Machine Learning-based algorithms to their store, in order to boost the client’s experience on the site and, most importantly, to improve their conversion rates. Let’s break down how the process works in a very simple way. Machine Learning-based applications are following a simple retargeting process: for example, if one potential client will leave a product in the cart (without completing the purchase) the app will automatically put that product down in the catalogue because it acknowledges the fact that it’s not having success. By doing so, the future potential client who will come to the store will only see successful, highly rated products, which automatically will boost his user experience. With this simple machine-coded algorithm, the website will have a deep personalisation, which will revolve around having a unique aspect for each individual client. We must also keep in mind that this entire data gathering process heavily relies on cookies, which must be optimised following the latest GDPR rules. Is This The Death Of PPC? Possibly: Pay Per Click advertising is incredibly successful and it’s possibly the core element of every single eCommerce business when it comes to marketing. By automatically optimising the content and by boosting the user experience, the organic traffic will increase significantly, which could reduce the budget needed for PPC ads. On the other hand, PPC is a must for a newborn site, especially if it’s focusing on a very competitive niche market. Therefore, optimising your keywords, especially when launching your new site, is still a must. Mobile app development is moving incredibly fast and, of course, is heavily focusing on e-commerce. A peculiar trend that many developers are approaching is related to Machine Learning algorithms that are able to understand clients’ positions in order to present certain products, at the right time. Imagine looking for a vegan restaurant nearby that only serves vegan burgers: if the restaurant has a very well coded algorithm, it could exploit this particular search by adapting his menu in order to automatically present the person who’s looking for that product what he/she wants. This, combined with a great marketing strategy, could literally kill SEO’s long-term strategies if done the right way. As said above, Machine Learning applied to certain digital marketing strategies wants to adapt to the latest algorithm update, especially when it comes to SEO and Retargeting. In order to do so, the app must be based on Robots.txt crawling and general behaviour: by following Google’s crawling method, the algorithm will progressively adapt in order to reach a point in which it will be able to spontaneously adapt to the latest crawling update, which will (potentially, since we’re still at a very embryonic level) increase the overall organic traffic. The ultimate goal, when it comes to Machine Learning in general, is the potential of automatically reaching the ability to adapt in every single possible scenario: in this case, optimise the entire website, the user experience and most of all, conversion rates. While the idea may sound intricate and very complex, we can easily say that the concept behind it is very basic: a Machine Learning algorithm basically tries every single avenue possible when it comes to resolving a determined situation, but the attempts per second are thousands and thousands. There are many experts that are saying that Machine Learning is the future of automated technology and robotics in general, therefore it’s natural that this type of technology will heavily impact CMS and Web Developers. Let’s state the fact that every automated tool has an incredible market value at the minute, whether if it’s a management tool or (in this case) a content/user experience/marketing application. As mentioned above, the entire technology is still at a very embryonic stage, which will develop depending on how CMS like WordPress and Shopify will acknowledge this possibility. On the other hand, we can easily say that Digital Marketing will still go on even when this technology will reach the consumer market, especially since keyword research is still pretty much relying on human choices. We can definitely say that startups that are developing Machine Learning-based algorithms, trying to adapt those to website-based environments, will have a bright future. No, at least not when it comes to conversion rates and digital marketing. These tools are made in order to boost UX and everything in between, but the written content can’t be written by an ML algorithm, given the fact that an essential part, when it comes to Digital Marketing, is related to the creative approach the marketer has within the field. What definitely will be replaced is, indeed, the technical part, which is a great matter, especially since it will save a lot of time to those content creators that are heavily investing in better crawling methods, especially related to Technical SEO and Indexing Optimisation. Being the biggest focus of web development startups, Machine Learning will surely lead the entire development market and we can easily expect major investments from AAA companies within the matter. Being one of the biggest theory-related studies at the minute, Computer and Machine Learning definitely will see big improvements during the next years, which is really exciting.